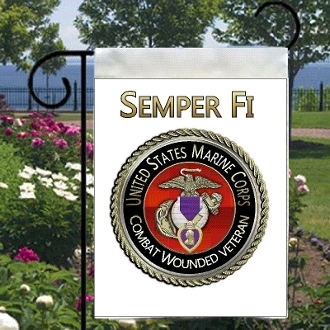 Our USMC Combat Wounded Veteran Garden Flag. Deisgned as a single sided photo quality image. The Flag is approx 11" x 16"